In the world of hip-hop mogul Jermaine Dupri, building excitement for new music means creating his own rules for using social media to engage with fans. Dupri, Mariah Carey’s manager and co-producer, has been a lightning rod for criticism from frustrated Carey fans who have wanted more information about her career moves (especially the status of her new album) than they have received. But instead of appeasing fans with social, Dupri acts like a boxer, sometimes quietly absorbing the blows, and other times trading stiff jabs and upper cuts as he did recently when engaging with impatient fans on Twitter. The way he sees it, frustrated fans are good business because they build anticipation for music. Applying social finesse is one of the rules that Dupri lives by as he reinvents the role of the music executive in the digital era. Music industry honchos who first made their marks in the analog era, as Dupri did, have famously struggled to embrace digital (hello, Napster). Not so with Dupri. In the 1990s, he exploded on to the music world by breaking successful acts such as Kris Kross and Da Brat before becoming CEO of So So Def Recordings. The 1990s were a long time ago, though. Then, artists could make millions by dropping CDs like manna from heaven into the hands of hungry fans. Digital downloading was not a threat. No one had ever heard of social media. But unlike many of his peers, Dupri has made the leap into the digital era by making digital — especially social media — the epicenter of a career in which he plays many roles, including CEO, czar of his own social media community Global 14, a popular DJ, and manager of a certain diva who has sold 200 million records. Dupri creates a flurry of activity on social every day, on sites ranging from Facebook to YouTube. One moment he’s tweeting information about a club appearance with Fabolous. The next he’s posting an Instagram of himself with Pharrell backstage at Coachella or a YouTube video about a moment with Mariah Carey and her fans. “I create my own social whirlwind,” he says. But he’s not creating a whirlwind of random activity. For Dupri, all social media roads lead to his home base, Global 14. 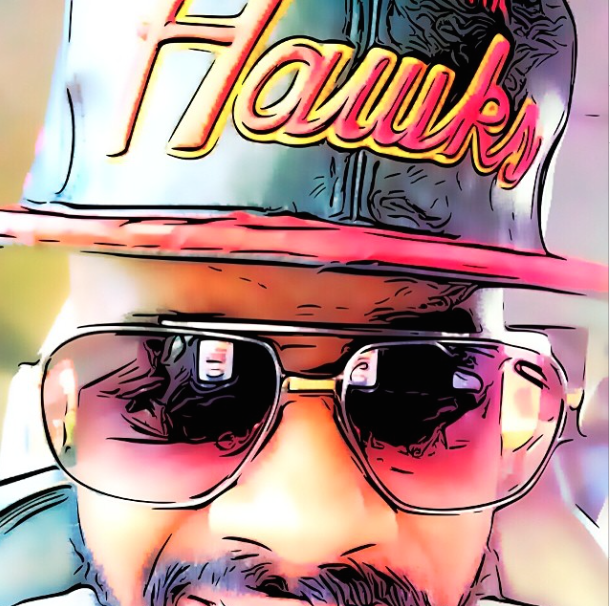 Dupri created Global 14 in 2011, in order to build a community of fans with like-minded interests ranging from sports to hip-hop. At the time, a music executive creating his own website raised some eyebrows, especially since Global 14 replaced Dupri’s So So Def Recordings site as a gateway to his personal brand. But other artists soon followed suit, most famously Lady Gaga with her Little Monsters community. And according to Booz & Company, nearly half of the world’s top 100 brands host their own communities. Global 14 now has roughly 46,000 members (including me) and is the center of Dupri’s universe. 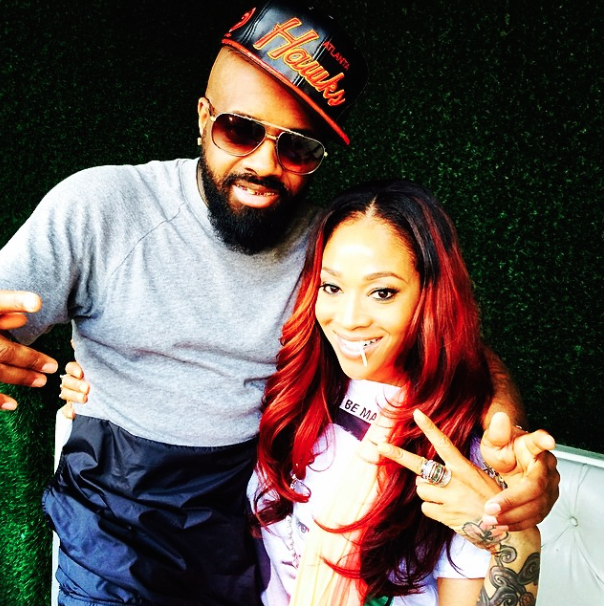 Global 14 is where all of Dupri’s roles coalesce. As music producer and CEO of So So Def, he relies on Global 14 to monitor up-and-coming musicians such as Vanessa Elisha and get feedback on the music industry from a 46,000-strong focus group. He finds new beats and ideas that inspire his life as a DJ. He talks with Global 14 members about lessons he’s learned managing Mariah Carey. And Global 14 is also a diary of his life on the road no matter what he’s doing. Meantime, on sites like Facebook and Google+ (both of which I manage with Dupri), he shares a taste of the action on Global 14 along with content about his own life. That way, he gives fans the best of both worlds: interaction with his own brand and Global 14’s. At a time when pundits and consultants (like me) are urging brands to act as publishers, Dupri has mastered the art of content creation and curation through social. He is an especially skillful visual storyteller. He has taken selfies to a new level through the use of artful renditions on Instagram. He takes fans into his recording studio to share a visual diary about the making of Mariah Carey’s music. He shares the quieter moments of his life as an executive. With one photostream, you can quickly appreciate the different dimensions of his life. A passion for sharing content through digital has also informed the way he manages Mariah Carey’s career. For instance, Dupri orchestrated the release of Carey’s song “You’re Mine (Eternal)” through a special Facebook listening party with Mariah Carey on November 11, 2013. She not only relied on Facebook as a distribution platform for her most valuable content, she also borrowed a page from Dupri’s playbook and shared insights with fans about the making of the song. Later, Dupri discussed on Global 14 his experience releasing the song on Facebook and the lessons he learned, such as the challenge of sticking to a plan even when others questioned it, or dealing with blowback from fans who did not understand why the song was being released on Facebook (where Carey has millions of followers and could engage with fans more easily on her own wall) rather than Vevo. “Staying focused is a must,” he says. And his comments are authentically his — warts, typos, and all. Finally, he’s a content curator and moderator sparking conversations about race, politics, and culture, as he did when Trayvon Martin was shot in 2012. Dupri plays different roles on social media ranging from manager to CEO, and he adapts his social media habits to those roles, not the other way around. When he’s producing new artists, he’s more like a mentor, using Instagram and Global 14 to post moments in the studio and information about new music. But as Mariah Carey’s manager, he needs to hold back sometimes. Indeed, as Carey herself told Billboard, “I have to be the one that announces this, especially the title.” She eventually did so on April 30, when she released the name (Me. I am Mariah . . . The Elusive Chanteuse) and cover art on her own terms. Leading up to April 30, the pent-up demand for news about Carey, along with the delay of her new music, intensified the level of frustration, as well as the Internet chatter — not all of it positive, but chatter nonetheless. He even allows himself to smile when the pressure gets intense. When Mariah Carey Twitterfan @AussieJess wrote a testy critique of Dupri’s managerial skills, celebrity blogs had a field day — and so did Dupri, who clearly had a laugh by posting the article himself on Global 14. But he also pushed back when he felt the time was right to stoke a conversation, as demonstrated by the give-and-take he had with impatient fans on Twitter. Being a target for criticism about Mariah Carey hasn’t exactly hurt Dupri’s visibility, either. Since becoming Carey’s manager, Dupri has seen an increase in his Facebook Likes: from 63,000 (6 October 2013) to 248,000 (30 April 2014). As Dupri can attest, conversation in the digital era has currency. This entry was posted in Music and tagged #MeIamMariah, David Deal, Facebook, Global 14, Jermaine Dupri, Mariah Carey, So So Def, Superhype, The Elusive Chanteuse, Twitter. Bookmark the permalink.